Lastolite have become the exclusive UK distributor of the SMDV FlashWave III triggers, and sent us a set to review. Lastolite have become the exclusive UK distributor of the SMDV FlashWave III triggers, and sent us a set to review. 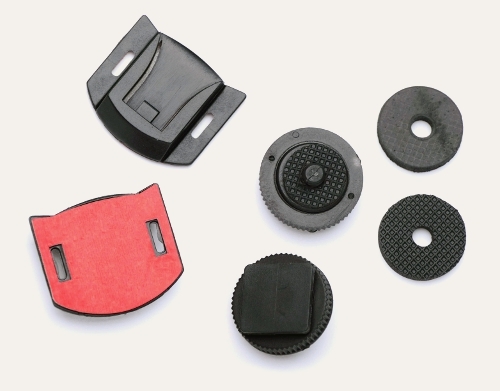 These Korean-made devices can trigger remote cameras or flashes over 2.4GHz, with a claimed range of up to 80 metres. Unlike most other triggers, the FlashWaves have metal panels on some surfaces, which, if nothing else, exude the impression of a polished, well-made device. Unfortunately SMDV didn’t apply this policy to the foot of the transmitter, which is still plastic. By contrast, the Cactus V5, Yongnuo RF-602/3, Phottix Strato (II) and Pixel Rook – all of which are cheaper – have metal feet on their transmitters. 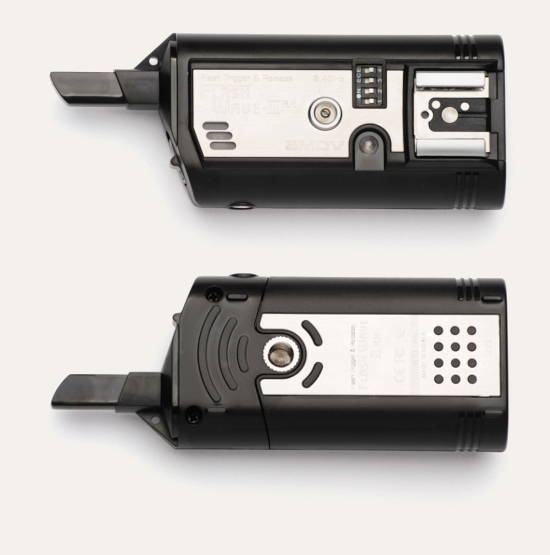 Nonetheless, one could argue that the FlashWave III transmitter doesn’t need it, as it is seriously compact. Despite its vertical profile, it is possibly one of the smallest transmitters we have ever seen. The vulnerable-looking aerial is actually flexible so you needn’t fear it breaking off in your camera bag. Everything else feels bulletproof, with an easily-accessible test button, power switch and channels. 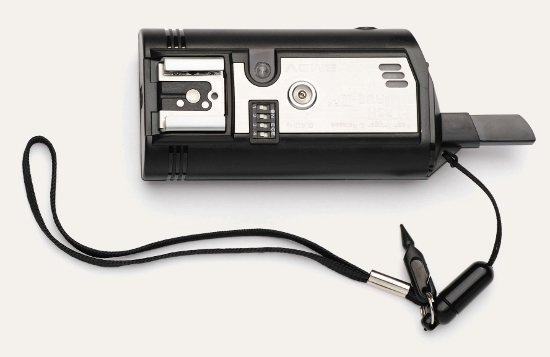 A locking ring keeps the trigger securely in your camera hotshoe, or you can connect it by cable via a 2.5mm sync input. 3.5mm jack, which is also used for remote camera shutter release cables. on the side of your flash, via the included (x2) self-adhesive caddies. The lanyard even includes an attached stylus for changing the channel Dip switches, perhaps for those of us who bite our fingernails too much to be able to adjust the channels by hand. Each receiver hotshoe appears to have electronic contacts for waking sleeping flashes, but the transmitter foot has just one. As a result, you will only wake up sleeping flashes with the two-level test button, not on a half-press of your camera’s shutter, which limits this feature’s usefulness. In practice, the FlashWave IIIs triggered reliably for me every shot, with no random fires or other unusual behaviour, even with 2.4 GHz Wi-Fi routers and a wirelessly-controlled Hobo Merlin in close proximity. At extremely short ranges, the FlashWaves work flawlessly – better than the Cactus V5s which generally don’t fire within 50cm or so. Outdoors, the FlashWaves successfully triggered for as far as I could walk while maintaining line of sight between the transmitter and receiver. Using a Nikon D700, the FlashWave III can synchronise cleanly up to 1/160 – 1/200 second. This is a slightly disappointing performance relative to some other wireless triggers which work seamlessly all the way up to 1/250 second. If you need a basic, dependable flash trigger then the FlashWave III certainly does the job. However, at this price, you might expect a little bit more. There is no TTL pass-through or wireless flash grouping, which the Phottix Strato II Multi and Pixel Rook both offer for less. Moreover, the fact the FlashWaves don’t wake up flashes on a half-press of the camera shutter could be a source of frustration for some users. On the other hand, some photographers may feel that the backing of Lastolite as a distributor, and any warranty or technical support this provides, will be worth the extra money. 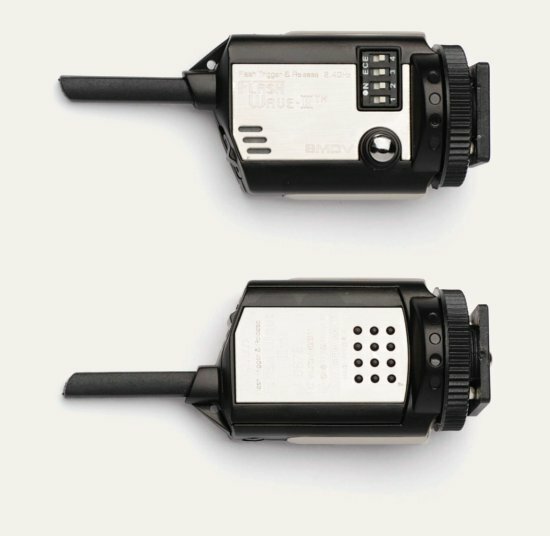 Lastolite have set a suggested retail price of £125 for a transmitter/receiver pair, including VAT. Extra receivers will be £90 and shutter release cables £20. A list of retailers can be found on the Lastolite web site. More information on the FlashWave III wireless triggering system can be found on the SMDV web site.